We need some sort of portable software when we are unable to install any software to PC, just like our college, cyberCafe, or any of your friends PC, where we can not able to install any kind of software. Also you can save your mush time if you just copy and paste your cameyo package to USB Drive and run from there, directly just double click and run. Cameyo is a lightweight and fast software, using this app we can make our own portable applications and try them on any PC with any windows operating system ( like - XP, vista, windwos7 and also windows8 ). 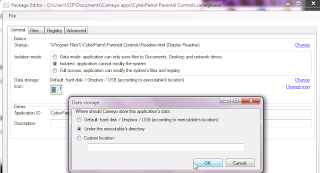 Once you create a portable cameyo application for your software you can copy it to your usb drive or hard drive and use them without installing them, cameyo applications are fast as compare to other portable application builders. 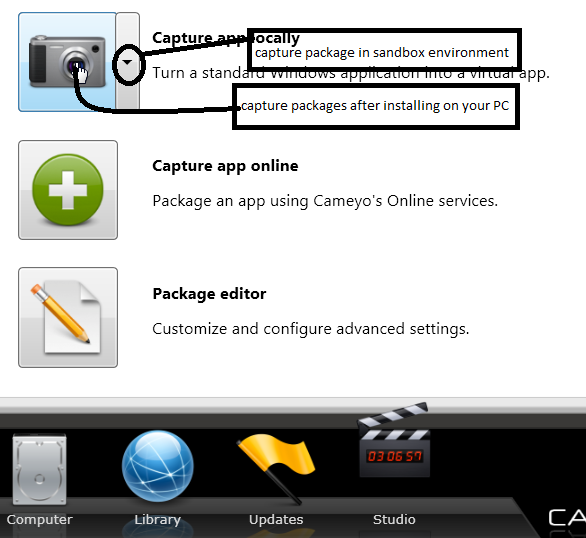 Ø main advantage of cameyo is, we do not need to reinstall our software to pc, in case if you reinstall windows again. 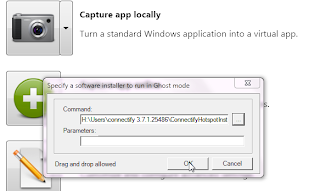 we can run these application anywhere in your pc, ofcourse you can run these applications from your usb drive and your system partiotion other than windows . à first one is data mode “ in which you can save your files to documents, desktop location of your host pc. à In second method Isolated ,” cameyo package will not be able to modify your system files. 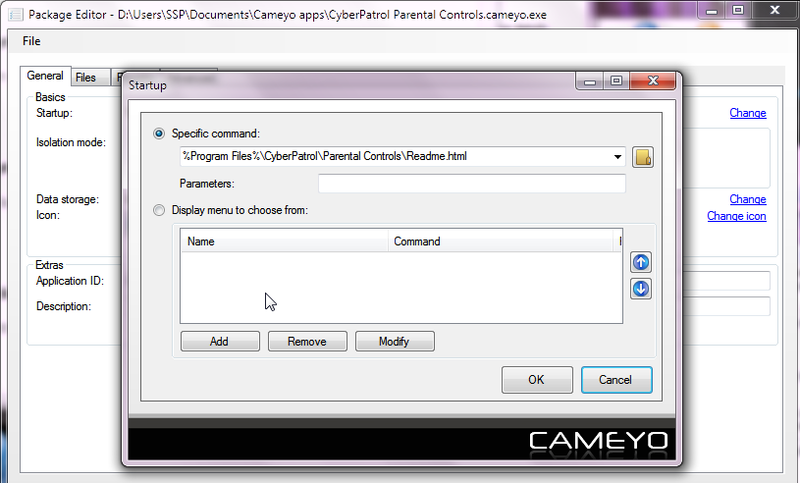 è Last one is FULL access,” cameyo package can modify your system files as well if needed. there are basically three methods using which we can make our portable app. 1. " 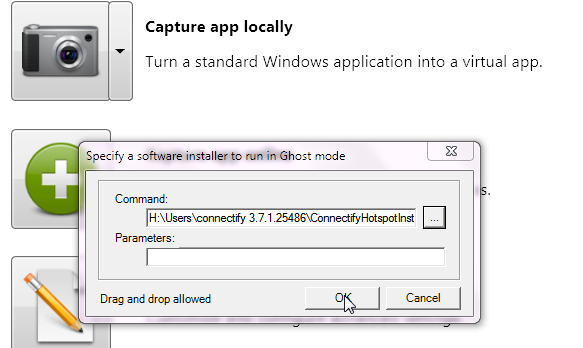 Ghost capture: capture an installation in virtual mode/sandbox", means you don not need to install your software to your pc/laptop., this is the fastest methods to create cameyo apps easily and fast. if you getting some error about when you install /“or when trying “ your software in this mode just try the second one method. 3. there is a web based cameyo application builder, using this you can make a cameyo package of any offline installer of your software. there is also a community where all world users shares ther own portable cameyo applications, you have to sign up for this service at cameyo home website, also sign-up is free and easy. Ø I recommend you to create your own application instead to downloading them because there will we some apps which will not run properly on your pc, may be that cameyo package will be captured using that operting sytem other than you. There are three methods we can select one about where you are interested to store the preloading package application files. 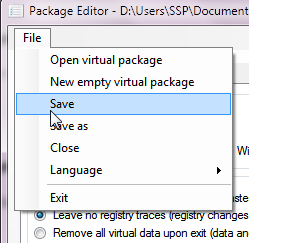 Second one specially for those who want to create a package and want to run from either location but preloading files should be stored under the executable directory, also useful for if you want to make a full portable software in case if you are using this package on computers other than yours. Third method if you wish to store application date under custom location of your PC. You can capture more than one software in only one cameyo package, and add a menu entry for each software within your cameyo package. You can export the files within your cameyo package and can add sole of your own or delete that one which are not required for proper function of software. Registry settings one of the important feature of cameyo, here we can edit a registry key or export registry setting or delete a registry key . do magic if you know how to play with registry settings. 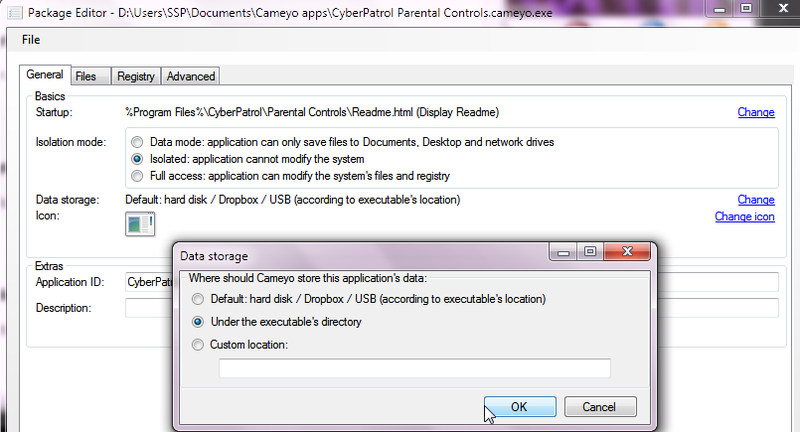 Cameyo also provides a integration feature which tells about how your application will works with windows explorer. Registry is soul of many software of windows without complete and properly configured registry setting many software will no longer works for your PC, if you disturbed them. Or edit them if you do not what you are doing. 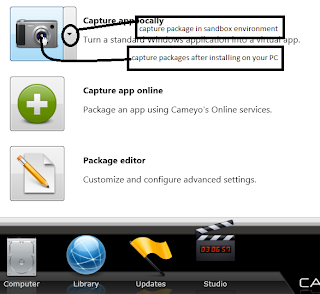 Now save your cameyo portable application, can run on most of windows operating systems without any problem.